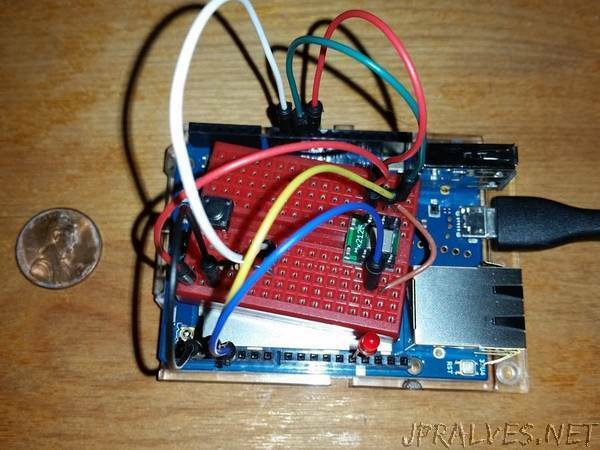 “Using an accelerometer and Arduino Yun, the device monitors clothes dryer vibration and notifies via Echo when the dryer stops. The laundry room in my townhouse is on the lower floor, and my hearing isn’t what it used to be. So, I can’t always hear the dryer alarm go off to announce the clothes are dry. Since I also don’t like wrinkled clothes, I need to know the moment the dryer stops so I can hang things up.